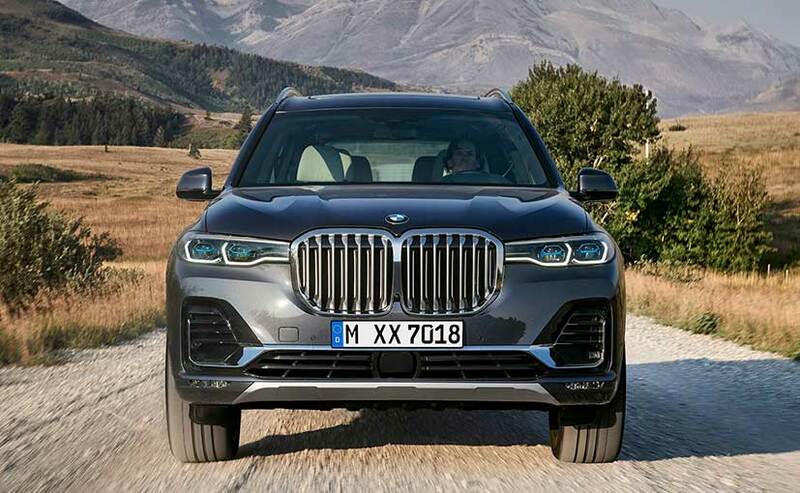 The 2019 BMW X7 SUV is massive with dimensions larger than a Range Rover, and also sports the biggest kidney grille to grace the front of any BMW, so far. 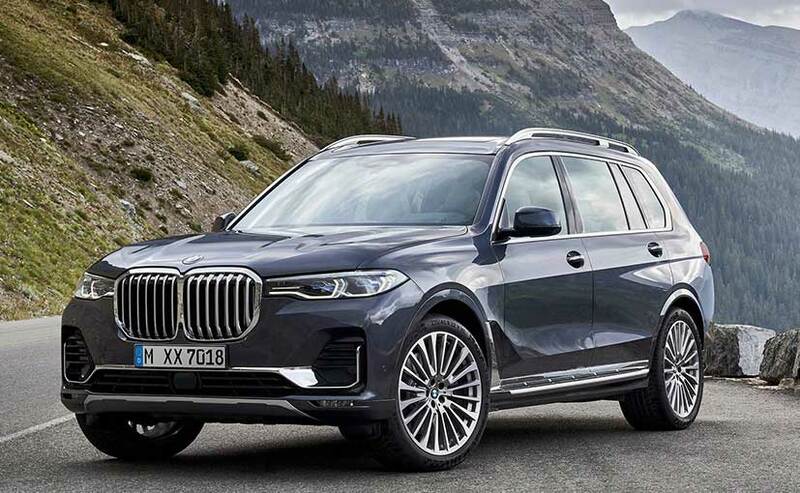 "It's massive," is the first thing you will say when you look at the 2019 BMW X7 SUV, the new flagship crossover from the German automaker. 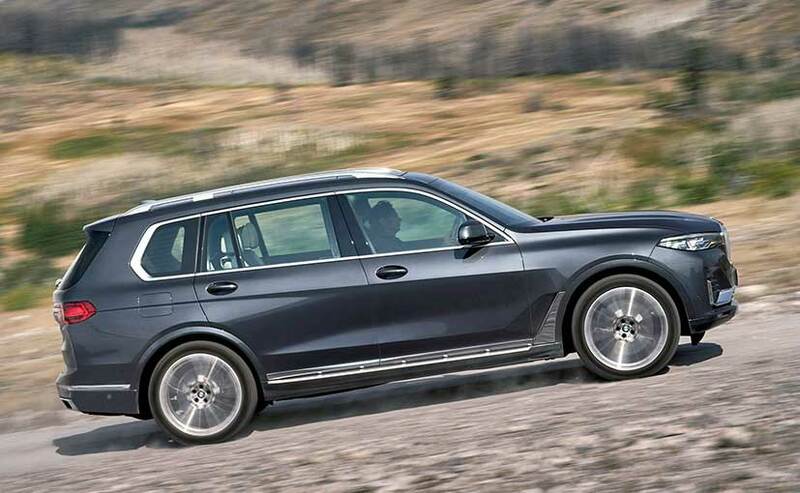 The new BMW X7 is about 9 inches longer than the X6 and just three inches shorter than the standard wheelbase 7 Series. It is also the first SUV in the BMW line-up to get three rows of seats, making it the most practical offering yet from the company. Keeping up with the big theme, the new X7 gets the largest kidney grille yet on a BMW model, and boy is it big! The X7 will be competing with the likes of the Mercedes-Benz GLS, Range Rover, Toyota Land Cruiser, Audi Q7 and the likes. The new X7 measures 5151 mm in length, 2000 mm in width and 1805 mm in height, which makes it considerably larger than the Range Rover too. Road presence will not be an issue with this Beemer. The styling is sharp on the SUV with the grille taking prominence from most angles, while the sleek headlamps with the J-themed LED DRLs help to minimise the visual bulk. 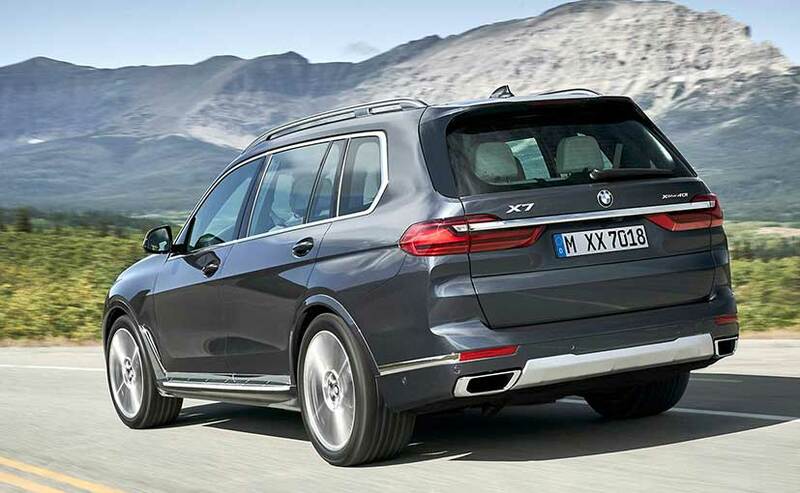 The upright stance on the X7 looks intimidating with the angular design looking futuristic and not boxy. That said, the practicality of the SUV is evident from the design. 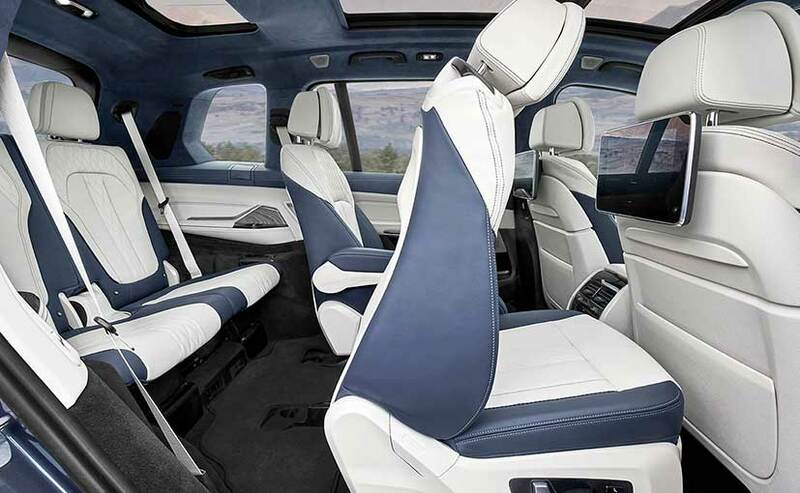 The massive proportions make up for a lot of space in the cabin as BMW promises the 2019 X7 can seat up to seven in comfort. A six-seat configuration can also be specified. All three rows can be folded/unfolded electronically while making for a boot space of 326 litres, which is expandable up to 2120 litres with the two rows completely folded. 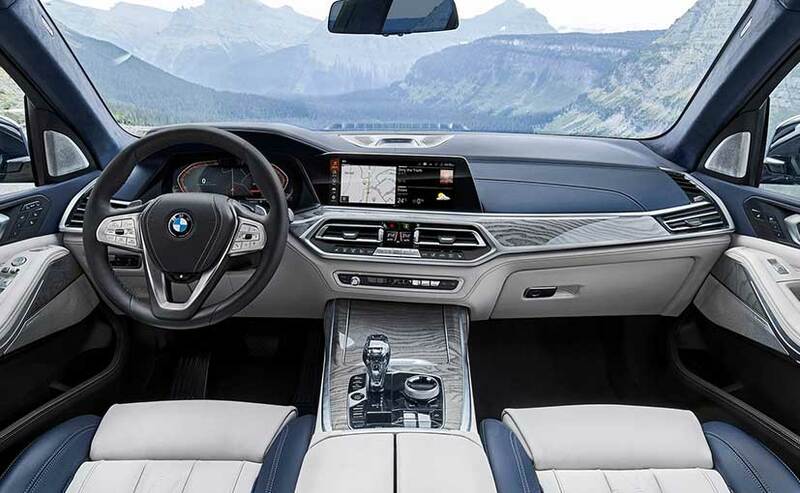 The 2019 BMW X7 also comes with a three-part panoramic sunroof to further illuminate the cabin that gets twin 12.3-inch screens for the instrument cluster and the infotainment display. The dashboard design is familiar yet futuristic and there's ample of soft-touch materials, leather and wood inserts are thrown in to keep the luxury quotient intact. The cabin is finished in a blue and gray colour combination that does look soothing. The feature list is extensive on the all-new BMW X7 SUV with the four-zone climate control, 1500 watt Harmon Kardon sound system and a LED-illuminated sunroof that can display different patterns against the glass. You can even simulate the starry sky, should you wish. 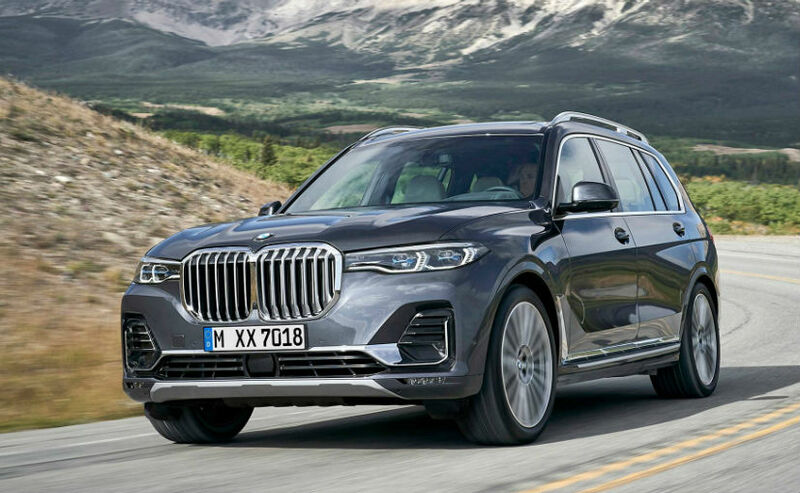 Power on the 2019 BMW X7 comes from a number of engine options including the 3.0-litre, in-line six-cylinder petrol with 335 bhp and a 4.4-litre, twin-turbo V8 petrol with 456 bhp on offer. There is also the 3.0-litre in-line six-cylinder diesel too with 256 bhp and a more powerful 400 bhp version on offer. A plug-in hybrid version is likely to join the line-up later in the timeline. All engines use the 8-speed automatic transmission and get all-wheel drive as standard. The AWD can send 100 per cent of the power to the rear wheels, and there's an electronically controlled rear limited-slip differential available with the Dynamic Handling Package and the Off-Road Package. Suspension duties are handled by fully independent dual wishbones at the front and a five-link setup at the back. The new X7 gets an air suspension as standard that can raise and lower the height and aid in comfort during the ride. BMW has also added a Dynamic Handling Package on its new flagship SUV that includes rear-wheel steering, active roll-mitigation, adaptive suspension and more. The 2019 BMW X7 will be built at the automaker's facility at South Carolina, in the US and will be exported to other markets from there. Sales in the US will commence by March next year, while the model is expected to arrive in India by the second half of 2019. The new X7 is likely to be assembled in the country when it arrives here and is certain to spice up the competition in the luxury SUV segment. Expect prices to start around ₹ 1 crore (ex-showroom) for the new X7 in India.